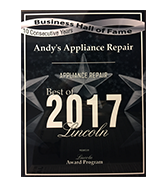 Andy’s Appliance Repair & Parts House is factory-trained and authorized to provide affordable Frigidaire appliance repair to the folks of Gretna. We are Frigidaire factory certified and continue to increase our skills by attending additional Frigidaire training. If you are in need of domestic appliance repair on appliances like ovens, ice makers, dishwashers, fridges, washing machines, dryers, and more, Andy’s Appliance Repair represents an ideal blend of quality and value. We don’t charge you an arm and a leg to get the job done the right way. 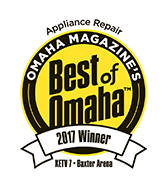 We’ve been serving Gretna, Lincoln, Omaha, and beyond with quality kitchen and laundry appliance repair for over 47 years, so it’s safe to say we have an understanding of what this industry demands. All of our highly trained technicians follow a strict “guest mentality” approach when we are in your home. People have come to trust Andy’s Appliance service because we are reliable. We stand by our 2- hour appointment windows that we’ve made, and we make a point to act as respectfully and kindly as possible when we are in your home. We cover our feet with booties, lay our tools on a pad all to ensure we are respectful to your home and belongings. An example of this commitment is we won’t ring your doorbell when we come to your place, just in case there are any little ones laying down for nap time! Our customer service team will call you the day prior to confirm the appointment. We also send you an email with your technicians name and photo so you know who will be at your door, on time, the following day. We are dedicated to finding you a quick, affordable appliance repair solution so that you can get your life together, but we get that having a stranger in your home to fix something isn’t always the most fun proposition. Our Master Certified Technicians, will generally be able to come out to your Gretna home either the same day or the next day to fix your Frigidaire appliance. 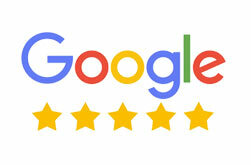 Our customers have grown to know that our technicians are very skilled, polite and professional and the best of the best at repairing all brands and types of appliances, so if you are in need of a Bosch dishwasher repair, KitchenAid oven repair, or are experiencing Whirlpool refrigerator problems and don’t know where to start, give Andy’s a call for reliable Gretna appliance service. If you are handy and want to give it a try to fix your own appliance, give us a call as we carry the largest inventory of the most common parts. 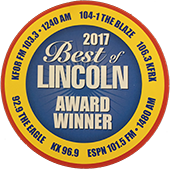 For Frigidaire appliance repair in Gretna, give Andy’s a call.